AIS operates it's Transport Section through an experienced service provider. To maintain clarity and to address the accountability of the service provider AIS has deputed its personnel’s coordinating with and assisting the parents. The transport facilities offer no guarantee that a seat in the School Vehicle will be available. When the vehicles are full to capacity or do not ply in the area of the residence, it will be the responsibility of the parents / guardians to drop / collect the child from the specified vehicle stop. ASIAN INTERNATIONAL SCHOOL, Kolkata is, at present, running Euro II / III / IV compliant vehicle for carrying its students who have opted for transport facility, covering Kolkata, Howrah and 24 Parganas. There is a fleet of more than 15 vehicles which are currently operating for AIS, comprising of BUSES, WINGERS, SUMO, and BOLERO. Bus Registration Charges of Rs. 200/- shall have to be paid in addition to bus charges at the time of opting for transportation as well as at the beginning of each academic year. Employees in the bus are always in uniform and carry their ID Cards. Children and educators travel together. Each bus has fire prevention equipment, first aid and an attendant as precautionary measures. A lady attendant accompanies the junior students in the vehicle for their proper care. We take every measure possible to ensure that the children travel to and from school every day in a comfortable manner within 1 Hour Time. The Busses plying have GPS tracking device (Service Provider – TATA) installed which helps the School to keep a check on these vehicles. The Device also sends automated messages at the desired mobile numbers of Parents 5 (five) minutes before the Bus arrives at the stop both during arrival and departure from the stop. All Bus attendants have mobile phones so that parents can contact the Bus (only in cases of emergency). The contact numbers can be availed in the School itself. 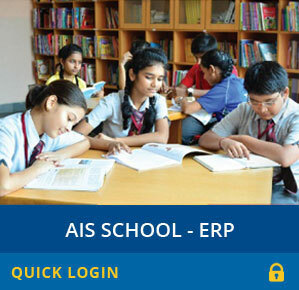 We feel, AIS has become a Center for excellence for imparting quality education. Students benefit from superb facilities added by experienced teaching faculty. Pedagogic method is also very scientific and child friendly." Three years ago it was a very difficult decision for me to pick the right school for my daughter. So my primary searches of school were based on two important points." My son, Himesh Bardia was almost 5 years old when we enrolled him at Asian International School (AIS) - Howrah. We had looked at several other schools(s) before we finally chose AIS."